Variety is the spice of life for both you and your pet. If you have not learned by now, there is no one type of pet food in existence that absolutely has it all. There will never be a one size fits all method, because not one single animal is like another. 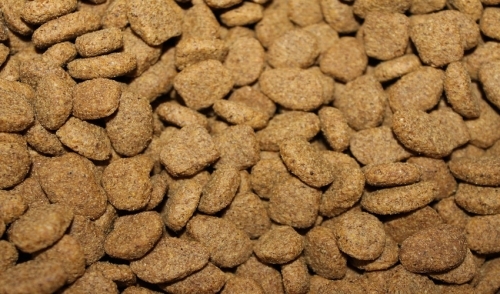 Here are a few good reasons why you should be changing your pet’s food regularly. First, pets obtain their necessary vitamins and minerals by eating many different kinds of food. With most domestic diets, this can already be covered. However, if it’s not, you need to rotate food to guarantee your pet meets its exact dietary needs. This is especially important, as pets get older. When your pet is young, it needs a certain food type that will support its growth and energy, but when your pet becomes older, it requires a different kind of food that supports its overall health including joints and weight management. As pets get older, they become less active. Therefore, you will need to adjust your food so that it’s lower in fats and calories. The second reason you should change your pet’s food is to help prevent protein allergies. Allergic reactions naturally occur in pets that are fed the same food for long periods of time. Over time, your pet’s immune system can start to identify a specific ingredient as harmful and release antibodies to fight the allergy. Allergic reactions are usually the first indication that it’s time to rotate food for your pet. Food allergies can range from itchy skin to hot spots and diarrhea. Every owner should be changing food about every 3 months or so to maintain variety and to avoid allergic reactions. For the best results, rotate between protein sources such as beef, lamb, and chicken. Rotating food may cause some gastrointestinal issues at first because dogs have sensitive stomachs. If this happens, slow down the transition until your pet starts to adjust. Take the whole week to slowly transition your dog into the new food. If your pet has a really sensitive stomach and can’t adjust, it may be best to quit the new food altogether or speak to your local veterinarian. For many owners, the ‘bag for life’ method is the most common because its routine and we like to think that our pet can handle or eat anything. The point of this article is to learn to not be one of those owners. Your pet is like family, and family deserves better. Change your pet’s food regularly to maintain optimum health and nutrition for your animal.